Would you ever go swimming in a lightning storm? 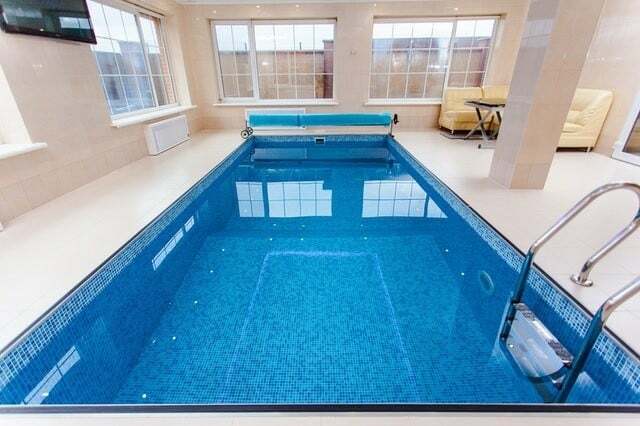 What about if the pool was indoors? If you answered yes, then you may be putting yourself at risk. There is a lot of information out there regarding the safety of swimming inside during a thunderstorm, but today we are going to be discussing the facts about lightning awareness. To put it bluntly, you should always avoid the pool when lightning is near, even if you are protected by a roof. For the most part, buildings are grounded to protect against an errant bolt striking the roof. However, just because the structure can withstand the shock doesn’t mean you can. If you’re in the water, you are not grounded, meaning that you could wind up in bad shape while swimming. The fact is that there are plenty of regulations surrounding swimming indoors during a thunderstorm, and almost all of them strongly suggest to evacuate the pool as soon as possible. So, even if you think you’re safe, you could be violating one of these rules. Have you ever seen pictures of lightning hitting the ocean or some other large body of water? Well, that’s because it attracts electricity, which means that your pool will do the same. This is especially true if there is glass above the water as it won’t provide any protection from a hit. Also, don’t rely on weather reports. They are referring to the general area around you, but conditions can be different where you are. The ideal thing to do is to get the best lightning detector so that you can be sure that you are no longer at risk. Overall, even though there haven’t been any reported cases of death or serious injury from someone swimming in a thunderstorm, the fact is that the potential for disaster is too great. If you want to put your mind at ease, get a real-time lightning tracker so that you can be ready if something happens.